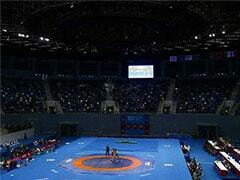 Nitin of UP Dangal beat a fighting Utkarsh Kale of Punjab Royals, the reigning national champion, 8-7 in the decider. UP Dangal rode on a heroic performance from former national champion Nitin to eke out a narrow 4-3 win over Punjab Royals in the Pro Wrestling League on Thursday. Nitin beat a fighting Utkarsh Kale, the reigning national champion, 8-7 in the decider after the two teams were locked 3-3 following six matches. Utkarsh, the favourite in the contest, did well to win the opening period 2-0. 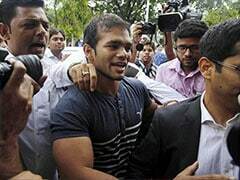 However, he could not counter Nitin's attack in the final round to lose the crucial bout. Down 2-3, Punjab's Koumba Selene Fanta Larroque of France showed great character under pressure to score a 4-0 victory over Zsanett Nemeth of Hungary in the 76-kg women's category to keep her side alive in the contest. In the earlier match itself, UP Dangal were in sight of victory after taking a 3-1 lead. 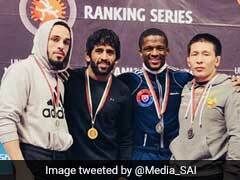 But Geno, the 2017 World Champion, dished out a spectacular performance against Azerbaijan's Jamaladdin Magomedov in the 125-kg category to give Royals a new lease of life. The Royals pulled it back in the next bout after Latvia's Grigorjeva Anastasija beat the local favourite Geeta Phoghat in the 62-kg women's competition. The World championship bronze medalist was in a punishing mood right from the word go. She sized Geeta up from the initial stages of the contest and took a 10-2 lead in the opening period. After the breather, Geeta tried to attack but could not cause any major damage as Grigorjeva further built on her lead.